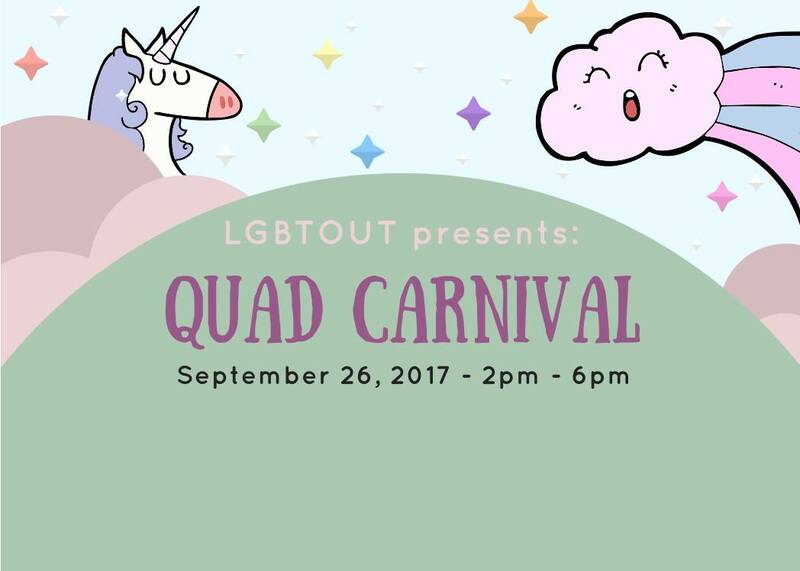 LGBTOUT’s Quad Carnival is the perfect opportunity to learn more about your campus and the LGBTOUT Drop-In Centre. Visit Sir Dan’s quad for the opportunity to meet various LGBTQ student groups and volunteer organizations, and to learn about available students resources and volunteer opportunities. Not only is this a great way to get involved, but it will be a super fun way to spend the afternoon. From popcorn to cotton candy, to board games and music, the Quad Carnival will not disappoint. Enjoy live performances from fellow LGBTQ student artists throughout the day and meet a few new friends in-between classes.